This product really delivers what it says"Sleep". 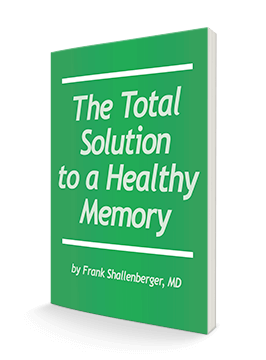 Before taking this product I was waking up several times a night-- broken sleep. When taking this product sleep is unbroken and sound. Upon awakening there is no groggy -drowsy feeling. Truly amazing product. Thanks Advanced Bionutritionals for a wonderful product that works! I have had a sleeping problem since childhood. When I found this product, it was the first time I have ever been able to fall asleep without chemicals. It's so wonderful to know that it's natural and not a chemical. I can count on it, and that's saying a lot. I am very happy with this product. I was sleeping only 4 or 5 hours a night, but now I am averaging 7 hours. Was wonderful for two months, best sleep I had for a long time. Apparently my system gets use to what I am taking, resulting in being less effective. This has happened with other products also. While it was working it was wonderful!!!!! This sleep aid is fantastic. Both myself and my husband get a great night's sleep with no groggy feeling in the morning. I feel good knowing that it is natural and non addictive. I have had difficulty falling asleep and staying asleep for almost 30 years and have tried MANY products to help me get a good nights sleep. 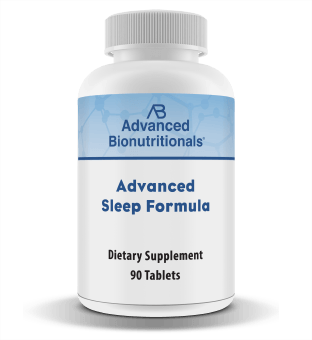 I started using your Advanced Sleep formula about 3 years ago and will never stop! It is by far the best natural sleep formula I have ever used. I take it every night and have restful, uninterrupted sleep. Thank-you Advanced Bionutritionals for this great product. 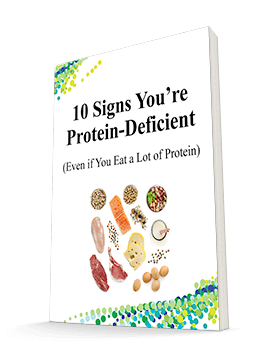 I highly recommened this supplement by Advanced Bionutritionals. Í have been using it for more than a year and it always works. It has been working satisfactorily for me. I will continue using the product. Excellent product - really works for me and I am not drowsy when I awake. I even take it at 2 or 3 or 4am if I need to sleep till 8am. Works! I know this is a good product for the people who need these supplements. It must not have been quite what my body needed because I didn't notice that it helped my staying asleep at night. I know your products are great, because several of them have done awesome for me. In the sleep sense, the Pure Sleep has been a life saver for me in helping me to go back to sleep once I have been woke up. I have been using this Advanced Sleep Formula since 1990. I sleep through the night and wake up with NO hangover. If I wake up during the night to go to the bathroom, I go right back to sleep. It is wonderful. I also like all the information this company provides when you purchase the product. They explain how it works in your body. I used to wake up in the night and find it difficult to go back to sleep, because my mind would start racing about things that I needed to do the next day or problems that I needed to solve. Since taking your product at bedtime, I have much more restful sleep, and when I do wake up, I am able to go back to sleep without delay. It has been such a help! It is a wonderful product that is working very well. Tonight I gave a bottle to my boyfriend and SURE that he will love it as well!! It worked the first day I took it !! Wonderful. I'm not drowsy in the morning. It is the best sleep help I have had ever. Advanced Sleep Formula by Advanced Bionutritionals is a great product. It helps calm me also. I was having trouble sleeping at night and every day I was beginning to feel to tired to do anything. I started to take the advanced sleep formula, and after the first night of taking it I did not feel tired or exhausted. I really felt like my old self. It was amazing what this product did for me. I have noticed that my sleep patterns have been more balanced and positive since taking this product. I have been taking Sleep Formula for years and it does help me getting to sleep faster. After habing tried many products to help me sleep, this one,does the job. I sleep right through the night , on most nights, I take only half-a-cap. Since I have been taking Advanced Sleep Formula, I find that I'm able to get into a deep sleep quicker and stay so for an extended period of time. I try and take it 45 minutes before bed time and it works well for me. Find this natural supplement helps me to get solid restful sleep for at least 6 hours. I've had sleep problems for awhile and this supplement really helps to get a good night's sleep. I purchased one bottle as a trial. I had a pattern of sleeping about three hours and the struggling through the rest of the night. Your product help me sleep a longer restful length of time and enabled me to fall back to sleep when I awoke after about five hours. There are no after-effects. This is a product that I consider essential after trying a number of other sleep helps. I have found it to do the job when other sleep products are not that reliable. I take two of the Advanced Sleep Formula tablets each night, shortly before bed. I sleep soundly and well, often straight through the night. I have never had such good effects from any other sleep supplement. I find that when this product works, it works very well, however, it doesn't always work. Seems like some nights they work and some they don’t. As of now I don’t know if I’d recommend. We do fall asleep rather quickly, within 45 min. of taking 3 of them. Bedtime depends on how hectic the day was and how early I had to get up that AM. Most nites I am not staying asleep and may wake up at 2 A and unable to go back to sleep for a couple of hours. I am still undecided if this product is working for me. Sometimes I will get into a long deep sleep and other times I toss and turn most of the night. I have found it highly beneficial to "get to sleep", but not to "stay asleep". Unfortunately, I wake up after about two hours of sleep and then spend hours trying to get back to sleep. Perhaps a time-released formula could help with this issue. Also, I would personally prefer capsules instead of the large tablets- I rarely ever buy any supplements that are not in capsules. Thank you! I have no trouble going to sleep with this product; the problem is that I wake up at 2AM and cannot go back to sleep. I would recommend this product if you are having sleep troubles. This product helped me get thru a very trying time of not being able to sleep. Several years ago I first tried your S F with mixed results. I found the taking of 3 such large tablets difficult, and have not used them for some time. Recently, my daughter (52 yrs) tried them, and was quite pleased with the result. That is why I've ordered more, they are for her use. NOT WILLING TO RECOMMEND. SOMETIMES IT HELPS, BUT NOT ALWAYS. Unfortunately this product has not improved my sleep. I feel my sleeping patterns have not changed for the better. The Advanced sleep formula does not do for me anyway, what it says it will do. I find with this product it makes me a little drowsy, and sleep for a short time, then I wake and don't get back to sleep, I was hoping these pills were the miracle I was looking for, but sadly no. This product did not work for me. I tried all kinds of recommendations to sleep but cannot get to sleep until four in the morning and at five I'm awake. Some times I don't sleep at all just toss and turn all night so this supplement did not help at all. I'm tired all the time and sleepy. I'm not saying it won't work for others but it didn't work for me. I have not found that these supplements improve my sleep. no affect, summary sounded good...but I got no relief. I was hopeful! Formula hasn't helped me. Great ingredients for sleep, just doesn't work for me. I am sorry to say, the sleep formula did not help me. I wish I could say Advanced Sleep Formula worked for me, alas though it did not but do keep in mind, that is just me. Someone recommended to me. Clearly it worked for her. I suggest you try for yourself. Also know that the pills are very large and you must take three prior to sleep so if swallowing larger than normal pills is a challenge for you may not like this product. The company was great in terms of sending out their product in a timely way. I don't know why but I did not sleep well on this sleep formula. It did not help me at all. Thank you. No it did not help me. I took Advanced Sleep Formula one night and was awake all night, which was worse than usual. I'm waiting until I'm under less stress to try again. I didn't notice any change in my ability to get to sleep. these pills are too large and hard to swallow. Esp. when you need to take three. did not dissolve well. I do not recommend this product. Unfortunately, it didn't work for me. My ability to sleep didn't improve. I even got a headache.